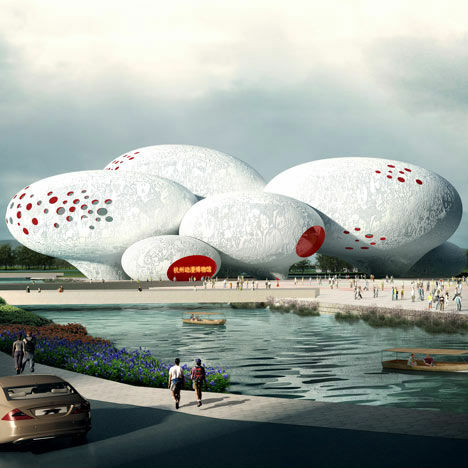 A cluster of organic shapes that look almost biological in nature, these bold white volumes will soon be the home of a new Comic and Animation Museum in Hangzhou, China. Dutch design firm MVRDV won a competition to design the museum with this unusual approach, featuring a spiraling interior that highlights decades of cartoon history. The rounded shapes of the structure, which reach down to the ground on tapered ‘legs’, are no accident: they were designed to resemble the speech bubbles that are so familiar to comic book fans. 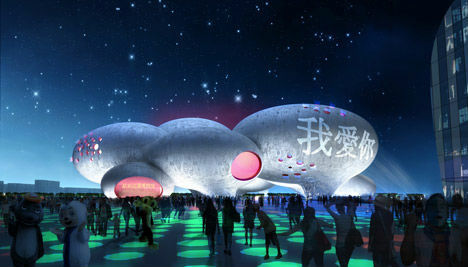 Each ‘bubble’ in the design will house a different function of the museum, including two exhibition spaces that will project animations onto the curved interior wall. 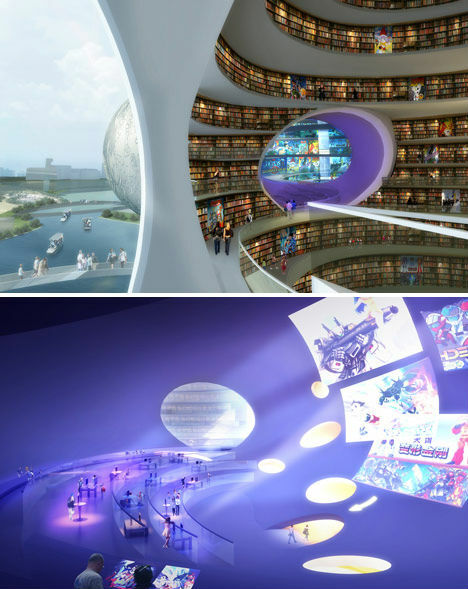 Visitors will meander through a high-ceilinged space on raised platforms and walkways, gazing up at massive replicas of comic book characters and other oversized displays and then spiraling up along the walls into a comic book library, open to the main chamber. Where ‘bubbles’ connect, internal openings are created, which not only provide a means to get from one area to another, but also a look into the adjoining space. The museum will feature a cinema and a roof terrace restaurant. The complex will also include a series of parks on islands in White Horse Lake with a public plaza and an expo center which will house the annual China International Comic and Animation Festival. 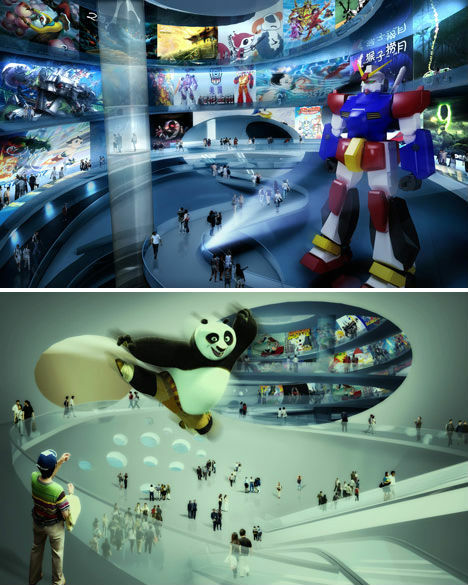 Construction on the Comic and Animation Museum will begin in 2012.